Spectacular East Lincoln Park Home on XL Lot! Impressive home set on an oversized, 33 foot wide lot in East Lincoln Park. Generously proportioned rooms with wonderful spaces for entertaining. Spacious kitchen has Walnut cabinets providing abundant storage and ample counter space. Sub Zero refrigerator/freezer plus numerous refrigerator & freezer drawers, Wolf double ovens, 6 burner stove top and griddle. Sonos sound system indoors and out. Framing projector art lighting throughout to showcase your art collection or photos. Master suite includes bath with Maax whirlpool tub, steam shower and heated floors. Indoor fireplaces in living room and family room. Spectacular outdoor spaces including deck off kitchen leading to 28 x 20 Epi deck with built-in Wolf connected gas grill and a gas fireplace over 3 car garage. Beautiful patio has a koi pond w/ waterfall feature. Side yard plus upper level Epi deck. 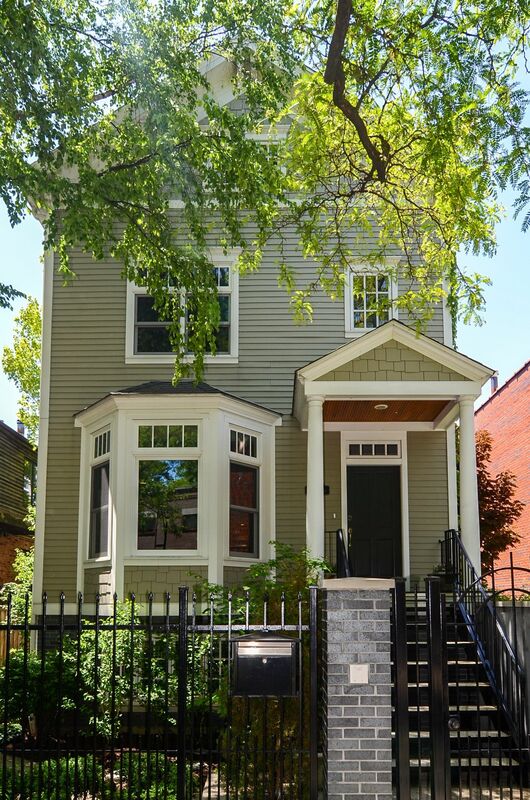 This extraordinary home is in Oscar Mayer & Lincoln Park School Districts just steps to restaurants, shops, theaters, & transportation.